Countless songs have been written and stories have been told about the city of dreams, Mumbai. This city that never sleeps is a melting pot of culture, tradition and heritage, along with being the most happening city of India. With myriad of opportunities and being the heart of Bollywood, Mumbai must have been every person's dream destination. Mumbai's legacy is enormous and thus, everything about the city is special. Since it used to be an important hub right from the British period, the city is spread with many buildings, places and monuments that have remained a landmark. 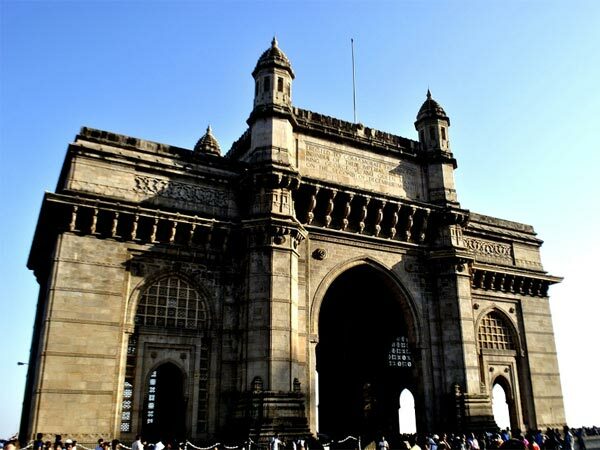 If you're in the bustling city of Mumbai and have little time to explore this huge city, then visit these landmarks that you might've heard of in the past. The Chhatrapati Shivaji Terminus (CSMT) is the most iconic historic destination of Mumbai that has been declared as a UNESCO World Heritage Site. This railway station was known as Victoria Terminus and was built in 1887. Later the station was renamed, dedicated to Chhatrapati Shivaji, in 1996. It is a gorgeous structure built in Victorian Gothic style of architecture and designed by Frederick William Stevens. Stop to admire the beauty of this busy railway station of Mumbai. The Gateway of India is Mumbai's most visited tourist destination that was built in order to commemorate the arrival of King George V and Queen Mary at Mumbai, in 1911. It is constructed in a brilliant Indo-Saracenic style of architecture, facing the calm Arabian Sea. The structure is 85 ft high and is often called the Taj Mahal of Mumbai. The historical significance of the gate is that the last of British troops exited through this gateway, marking the end of the British Raj. Although this is just a court and not exactly a tourist destination, the Bombay High Court is an important landmark that is one of the oldest high courts of India. It is built in a beautiful Gothic revival style of architecture and is of 562 ft in height. You can witness the statues of Justice and Mercy on top of the high court. Located on the southern part of Mumbai, Haji Ali Dargah is an important and most identifiable landmarks of Mumbai. It showcases a brilliant Indo-Islamic style of architecture and was constructed back in 1431. It is one of the most revered pilgrimage sites for Muslims from all over the world. Haji Ali Dargah is home to the tomb of Pir Haji Ali Shah Bukhari, who was the architect of the mosque, and a mosque. You can shop at the nearby Crawford Market or have delicious Mughlai biryani in the nearby food joints, when at Haji Ali Dargah. Located in South Mumbai, the Rajabai Clock Tower was designed by an English architect named Sir George Gilbert Scott and the tower was built in 1978. It is built in a beautiful blend of Venetian and Gothic styles of architecture and was built using the local Kurla stone. It used to be the tallest building in Mumbai, towering up to a height of 280 ft. This tower, with exquisite features and stunning embellishing, is certainly a must-visit landmark. Although not a building, Marine Drive is a remarkable landmark that is a natural bay, stretching for 3 km. It is laid right next to the Arabian Sea and happens to be the cities most favourite spot for a nice evening stroll. On the northern end of the Marine Drive lies the Chowpatty Beach where you can try Mumbai's popular chaats like vada pav, pav bhaji, etc. and shop in the many bazaars that line the beach. The Mount Mary Church, originally known as the Basilica of Our Lady of the Mount, is situated in Bandra. It is a popular tourist destination that gets particularly crowded on the first Sunday of September post 8th, since it is the birthday of Virgin Mary. Bandra Fair is the week-long celebration that takes place when thousands of pilgrims and tourists crowd the church. The boisterous fair hosts stalls, articles of interest, food stalls, etc. Dedicated to Lord Ganesha, the Siddhivinayak Temple in Prabhadevi is an important pilgrimage destination for Hindus. The original small shrine was built in 1801. It now has a gold-plated inner roof, right above the central statue of Lord Ganesha. You can also find a Hanuman Temple around the periphery.